Similar to BUILD.COR.079,080,081. Colour tinted. 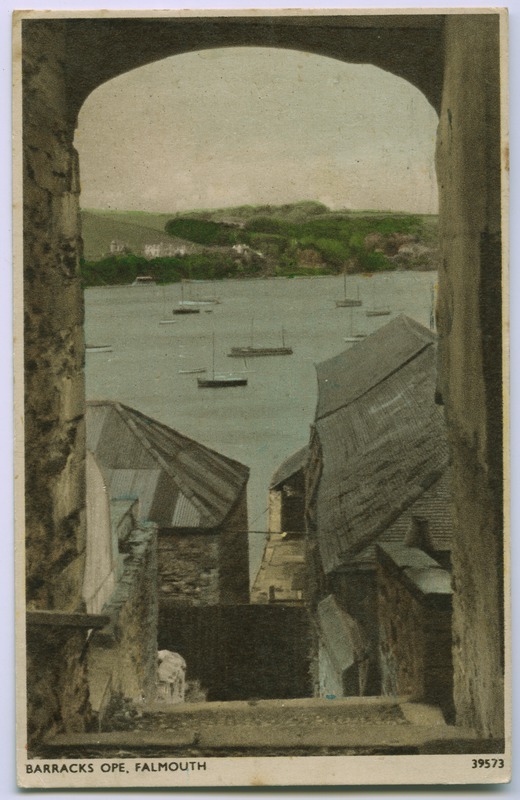 “Barracks Ope, Falmouth,” Morrab Library Photographic Archive, accessed April 22, 2019, http://photoarchive.morrablibrary.org.uk/items/show/14800.